What is the Oral-B Hummingbird? Why has it been discontinued? Where can I buy a brand new Oral-B Hummingbird? In the USA, such is the disappointment that a petition has been created, asking Oral-B to bring it back. Questions have naturally been raised around why as well as how and where to get spare parts or replacements. We aim to answer these questions for you. If you are not familiar with the Oral-B Hummingbird, it is a flosser that you use to clean the interdental spaces (the gaps in between your teeth) of your mouth. 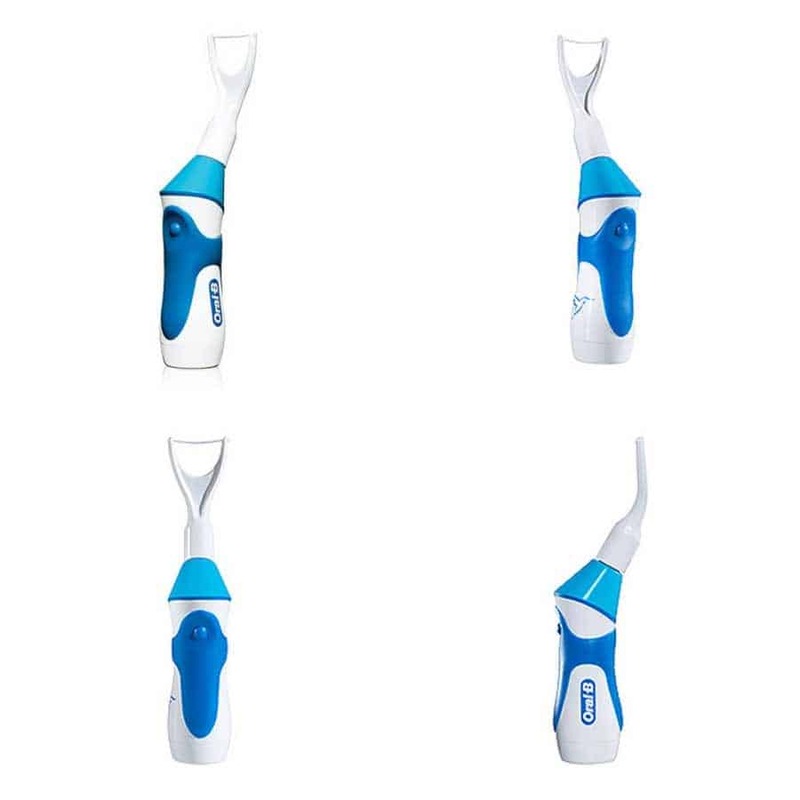 It is a compact, battery powered flosser that comes with 2 interchangeable attachments to undertake the flossing. The first is the pick. The dental pick is a soft attachment that fits to the unit and extends to a point, to create a tip/pick like finish that fits easily in between the teeth and can provide a deep clean. The second attachment is a more traditional piece of floss mounted between two arms. Both are designed for one time use. When an attachment is fitted and the unit powered on via the single press of the power button, the massaging vibrations make for a comfortable, easy and effective flossing regime. A non-slip ergonomic grip ensures it fits comfortably in the hand. Ultimately it is an ingenious tool that aids with flossing a task that can normally be time consuming, messy and inconvenient for people to complete on a daily basis. The reason it was called the Hummingbird is because of the design. The form of the flosser mimics to some degree the shape and size of the real life bird, the Hummingbird. The Hummingbird is as far as most are aware, now discontinued and no longer manufactured or sold by Oral-B. All products typically undergo regular review by internal product teams and decisions are made whether a product should be updated, replaced, removed from sale etc based on a number of commercial factors including demand, actual sales figures and the company focus. Whilst Oral-B have not stopped operating within the oral healthcare space it is quite likely the demand was not high enough to warrant continued production and the company appear to have deviated from electronic flossing products like this to focus on the electric toothbrush, toothpastes and more traditional flossing products. AAA batteries are readily available from any good hardware or grocery stores or many online retailers like Amazon. It is the attachments for the unit that are harder to source, as with the ceasing of production has come the reduced availability of the required spare parts. Seeing as each attachment is to be used once, it does not take long to go through any stock of dental picks or floss attachments you may have. Despite the dwindling availability there are 1 or 2 places from which you can buy replacement parts. One of the most reliable routes is from Shavers online store that offer a 10 pack of the Oral-B Hummingbird Picks. You can buy the flossers on Amazon, but they are very expensive. In all honesty, your best place to look is eBay as there have been a number of stores and sellers offering these spares at relatively reasonable prices. 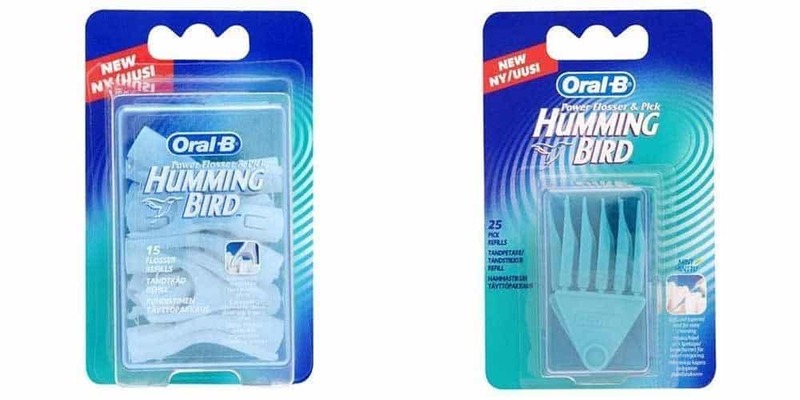 Places like eBay are you best bet, to hunt down new and unused Oral-B Hummingbirds, but they are few and far between. You may find a few used models for sale at a good price, but those who have new units are commanding a premium as they are now very difficult to get hold of. Check out Oral-B Hummingbird’s for sale on eBay. Despite the Oral-B Hummingbird no longer being made, there are some other similar, if not identical options available. The closest possible option, that works in a similar way is the Waterpik Whitening Power Flosser FLW-220UK. The WaterpikPower Whitening Flosser has mint-flavoured tips coated with a special whitening agent for brightening areas between the teeth so you can floss and brighten your teeth at the same time. Waterpik Power Flossers are clinically proven as effective as dental floss plus they reduce bleeding gums, inflammation, and plaque. The unit itself and the replacement picks are priced reasonably too. 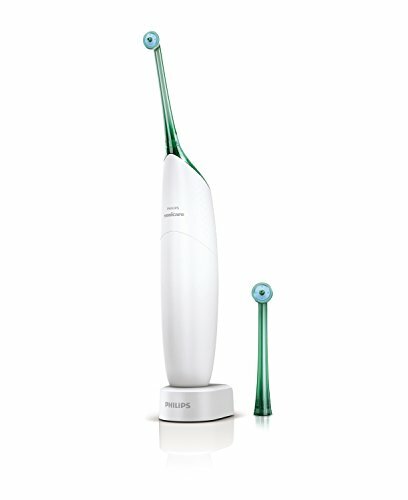 You can buy the Waterpik Power Flosser on Amazon. You can also buy packs of replacement picks. Another option to consider, albeit more expensive, is the Sonicare Airfloss. Learn more about it in our review here or view it here on Amazon. 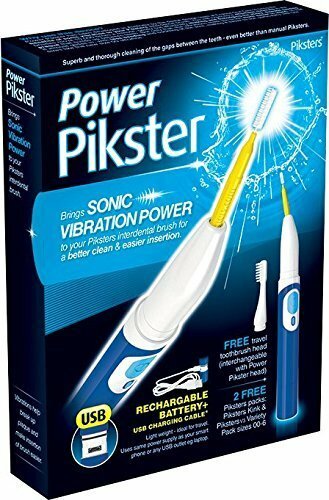 A bit different, but a possible alternative is the Power Pickster, which is designed to bring sonic vibration cleaning to the Picksters interdental brush. Powerful cleaning without manual dexterity. Significantly easier insertion due to a "mechanical lubrication" effect. Sonic Vibrations help break up plaque and make insertion easier,less insertion force results in less bending of fine wires. Light weight and suitable for travel. Comes with a toothbrush head and travel cap. Rechargeable with USB (cable supplied). No batteries required. Includes 2 free packets of Piksters, 1 Piksters Kink and 1 variety pack. Or you may wish to consider what has become a considerably more popular option, water flossers, particularly cordless. They achieve similar results, but use nothing other than water. They are a little bulkier and pricier, but you do not have the same ongoing costs with replacement parts. Our guide to the best cordless water flosser is a great place to get started. The Hummingbird from Oral-B has over the years won many a fan, but sadly, despite our desires for products to remain available they do not. We trust this article has given you a bit of an insight into why and how to obtain spares. 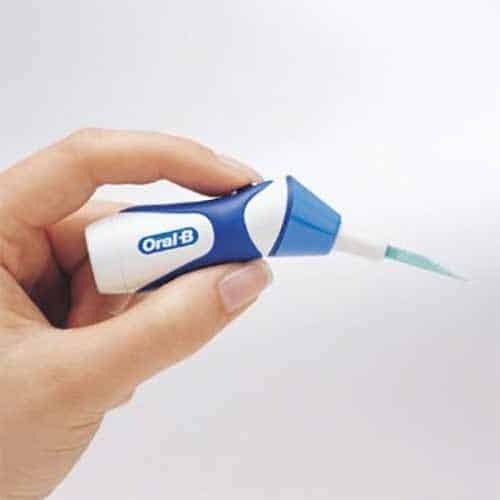 Have you or do you still use the Oral-B Hummingbird? If you’ve had to switch, what’s the best alternative that you’ve found? We’d love to find out, so please let us know in the comments. The Humming Bird I am referring to cost £1.99 and I have been using it for years. In fact I bought at least twelve – one each for my family and grand children. Good for you……I have an oral B humming bird flosser but it doesn’t work anymore for some strange reason. I put a new battery and still doesn’t work. I think it’s broken somehow?? I looked this on Amazon and eBay, both sites say this brand cost over $100 bucks. What a rip offf, I probably paid for mine around $10-$15 bucks in a store yrs ago. Anyway good luck with yours. 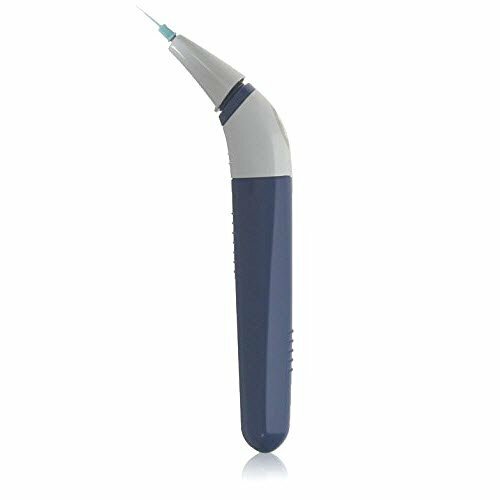 I bought an Oral B water/air flosser which cost £100 and am very disappointed. Getting spares for my Hummingbird has proved difficult and the air flosser is very easy to use but not very effective at cleaning. The Hummingbird is much, much better. I wish they would continue production. one idea that works for humming bird is dental floss picks.by cutting the tips to the right thickness of the shaft they fit in place ….humming bird picks sorted. I had one Hummingbird that served me for a few years until the motor went dead last year. Searched for a replacement motor and the best I could get was a 3V motor of similar dimensions that I have replaced last weekend. Happy with the result but the vibrations of the battery case is more than the tip itself. Will be trying to glue the cover more securely over the weekend. Now back to the search for replacement tips. One thing I have come to learn painfully though is that no and I repeat NO manufacturer is interested in creating a product that you will purchase and walk away with only small returns to them through inexpensive replacement consumables. Much more so if the company in question is a multinational. They will sell you an expensive main product at a throw away price and bleed you through their replacement consumable for a very long time. 1. The Humming bird flosser. 2. Home colour printer – printer throw away price and company gets money through cartridges. 3. Double edged blades: Remember that when the design got perfected with butterfly opening and adjustable angled cutting edges, the industry killed the product and replaced it with 2 edged, followed by 4 edged and now should have reached 100 edges? The new razors are thrown in for a song and charged for the replacement cartridges. The industry is not interested in giving a product with a thin metallic replaceable blade and all plastic as a part of a strong reliable razor that need not be disposed with every blade. If a product reaches a mature state of design perfection, there is nothing that the company is able to do to increase its revenue. It might try to steer you to an alternate product and it will have no hesitation to kill the mature product. Further to this mornings email re Oral-B Hummingbird. I removed the blue collar – two clips. Then removed the white motor cover – pulls straight off. – exposing a tiny electric motor driving an out-of-balance shaft/weight – this creats the vibration! Glad to read you have got it working again Martin. 5/5 for perseverance to get it to work. Have had a Hummingbird for years with sufficient refill packs to last me several more years! Invistigated further to see if I could ‘fix’ anything but the wires from the switch lead into a sealed plasic cylinder – a piezo unit?